India Has Repealed 377A — What Do We Do Now? On Thursday, September the 6th, India unanimously decided to repeal Section 377 of their penal code, their parallel to Singapore’s Section 377A. Those against the repeal of 377A are spooked by the support voiced out by these important lawmakers — a challenge to their status quo. The first petition to come out in this movement is this one, which called for 377A to be kept. A screenshot of the petition to keep 377A in Singapore. As of 12 September 2018, 12.55 PM, the petition has garnered 94,958 votes. A worrying tide of calls to keep 377A has grown. 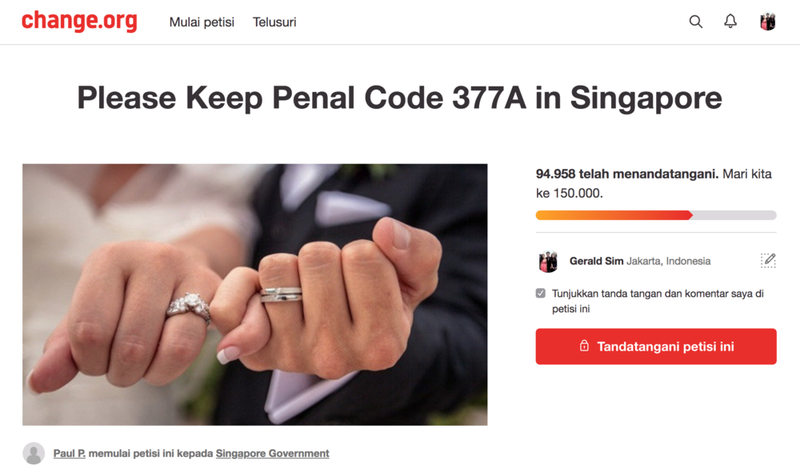 Whether backed by those who use religion as an excuse for bigotry, or by those who believe in the myth of a conservative society, the petition is drawing near to the 100,000 mark that allows it to be sent to the Singapore government. A petition sent in to the government, with votes garnered so quickly nonetheless will be a mooting point for those who wish to keep 377A as it shows the government that the support is seemingly there. However, we know this not to be true as the queer world lack the social institutions that help mobilise us forward coherently. Those on the “keep camp” have their social institutions in place, such as churches and political groups, among other things. This is evident as at one point of time, more than four petitions were going around to repeal 377A. This is undesirable as the more petitions there are, the more the votes get spread out and the slower it takes for the votes to repeal 377A to accumulate in any one petition. If you believe that everyone deserves not to be criminalised in the eyes of the law by their sexuality alone, here are some tips on how to get involved and exercise your democracy in a time when it matters the most. Sign and share the official “Repeal 377A” petition. The official “Repeal 377A” petition, “Ready for Repeal”, was founded by Glen Goei, acclaimed film and theatre director, and Johannes Hadi, a lawyer who works at Eugene Thuraisingam LLP . The movement needs your vote more than ever. To sign, go to this link here. We’ve attached the petition below for your reference. It is a law the British imposed on Singapore when we were still a British colony, and is no longer relevant. It perpetuates discrimination and harms LGBTQ+ Singaporeans by branding them as criminals. It prevents Singapore from being a truly pluralistic society that protects the interests of its minorities. Our laws should be secular and outside the influence of religious overreach. The policy of non-enforcement is vague and arbitrary, and undermines our rule of law. The rest of the world has made progress in correcting this unjust colonial imposition, and Singapore must not be left behind on the wrong side of history. Get in touch with government bodies. Send an e-mail to reach@reach.gov.sg (the Singapore government), pmo_hq@pmo.gov.sg (the Prime Minister’s Office) and PCR_feedback@mha.gov.sg (Ministry of Home Affairs) with the subject line “Repeal 377A” and mention how 377A affects you or your loved ones. This is due to the fact that government bodies are already inundated with e-mails calling for 377A to be kept. We need our voices to be heard as well and e-mails allow for a more personalised touch to the movement. Keep up with the case. 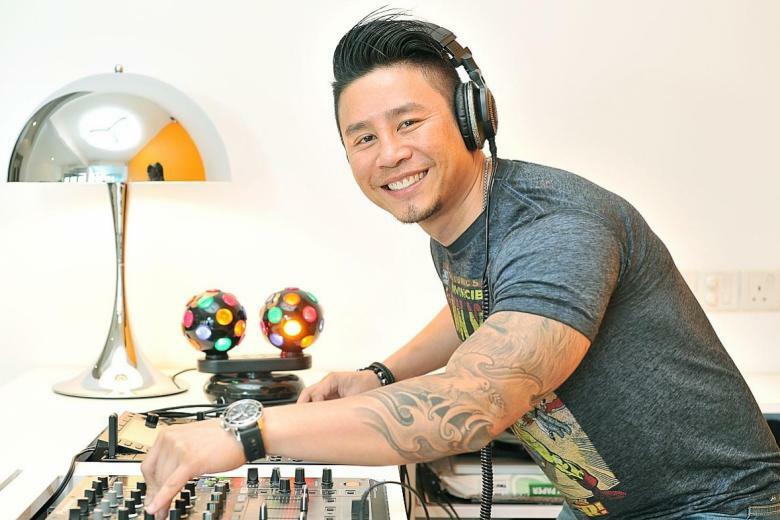 Johnson Ong, also known as DJ Big Kid, has filed his challenge to 377A in the supreme court. Developments are happening in a flurry. Johnson Ong just filed his challenge to 377A today, on 12 September. To keep up, you can use the Prout app on Telegram, a Telegram bot that sends you updates on queer events and queer news. Just search @proutapp on Telegram. You can also follow Pink Dot on Instagram for the latest. Last but definitely not the least, follow us on Instagram and look out for the new op-eds and pieces published in this exciting time. Last but not the least, tune in to local news outlets. The New Paper has some decent coverage of the happenings. Of course, exercise discretion consuming news and always be critical. We are living in exciting times, and your involvement is never more needed before. Swing is unequivocally for the repeal of 377A. We maintain that it is a bigoted, colonial imposition that only serves to divide society unhealthily.